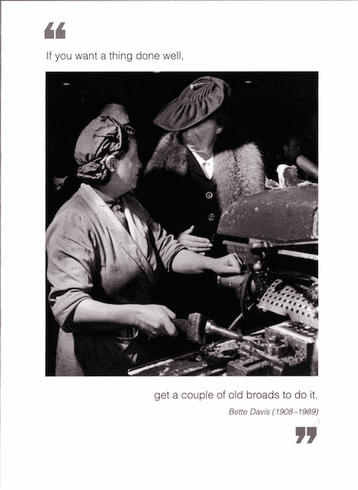 Outside: If you want a thing done well, get a couple of old broads to do it. - Bette Davis Inside: Blank. Borealis Press card measures 5 x 7 inches. Includes envelope.